LAKEFRONT CONDO...PORT CLINTON. 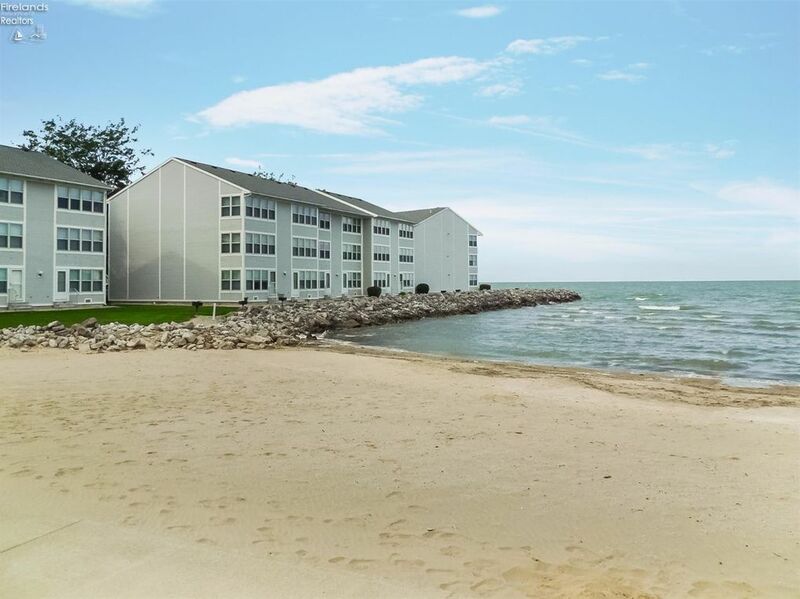 Panoramic lake views of Port Clinton, Catawba and Put-In-Bay plus great views of the condo pool, playground and sandy beach! RECENTLY UPDATED: new cabinets, new appliances, new carpet, newer A/C, Water Heater and vinyl clad windows....Very Comfortable and CLEAN! Complete turnkey condo. Owner currently rents unit themselves and may share rental info with qualified buyer for this unit. Easy access to restaurants, Jet Express and Downtown Port Clinton. THIS CONDO IS READY FOR YOU TO ENJOY! 1 beds 1 Bath 740 Sq. ft.